A decision was taken to alter the scheme after pre-construction works on the historic site discovered structures of some of the original buildings were not viable so could not be incorporated into the plans. Outside will be a landscaped piazza and courtyard linking the new School together with the rest of the site and the historic outer brick façade will be retained. When completed, it will provide space for nearly 1,100 existing students and 65 staff, with the number of students projected to grow over time to more than 1,500. 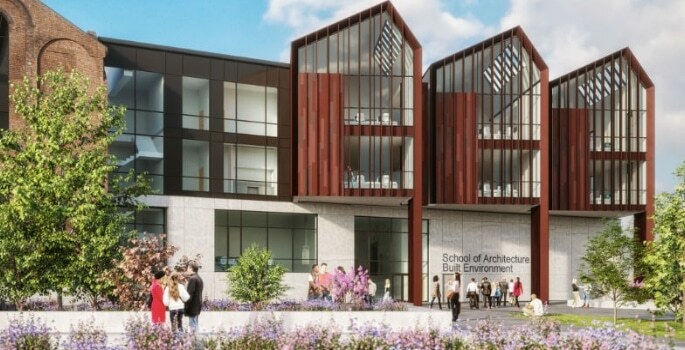 “We felt it was important to retain as much of the site’s heritage as we possibly could within the new scheme and have sought to retain, protect and celebrate the character of key existing buildings,’ said Deputy Vice-Chancellor Jackie Dunne. 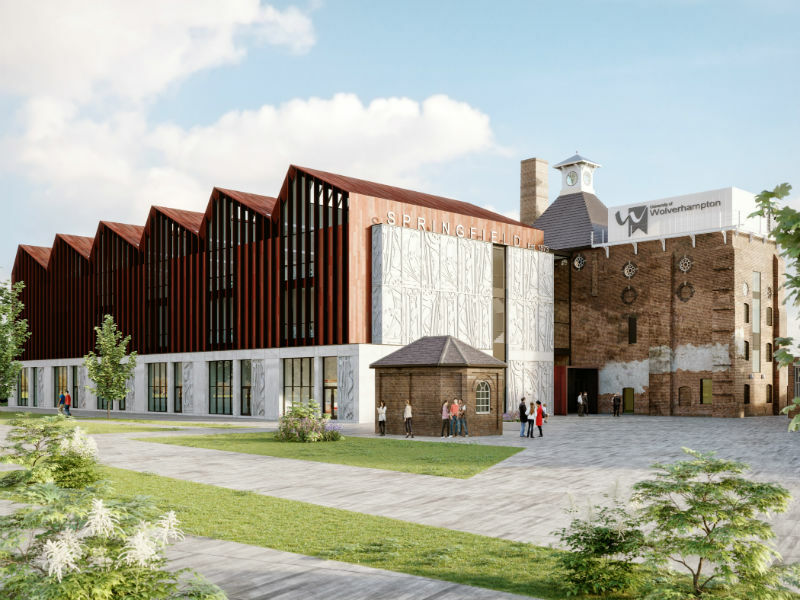 It will join the West Midlands University Technical College, which opened in January 2017, and the Elite Centre for Manufacturing Skills Hub, which will open this year. The 12 acre Springfield Campus will be a centre of excellence for the built environment, construction and high value manufacturing to be delivered by the University and its partners. When agreement has been reached with planners, the scheme will go back out to tender to identify a construction partner.